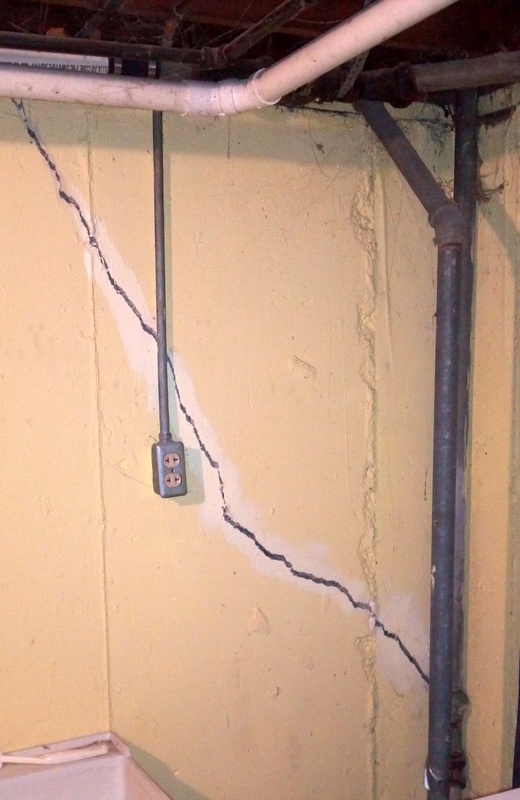 When you see cracks in your foundation, it’s time to call 3D Structural. Cracks in your foundation can happen at any time. When foundation settlement or even natural concrete curing process occur, the result is usually cracks in your foundation. Many wall cracks will leak water at some point depending on exterior drainage and soil conditions. Take a look just above ground level and below the bottom of the siding or brick to spot a crack in your foundation. 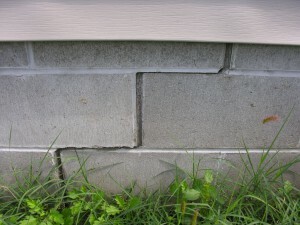 In most cases, vertical cracks in foundation walls are visible from the exterior of the home. If your basement or crawlspace wall is exposed or unfinished on the interior side, you will be able to easily pinpoint a crack in the foundation. You may even notice water leaking through cracks in the foundation wall. If you do see a crack in your foundation wall, you’ll want to chose a repair option from a foundation contractor that is customized for the specific type of foundation and cause of the crack. Cracks will also form in block foundation walls, usually in the pattern of a “stair step” between mortar joints. This is usually the result of a sinking foundation, or hydrostatic pressure pushing the wall inward due to an increase in moisture. Sometimes the cracks are more horizontal, and you may even notice that the wall looks like it’s bowing or leaning inward. While these types of cracks in your foundation generally do not happen quickly, they will never fix themselves or get better over time.